Click here return to the Hualin Journal main page. Dr. Yeung, from Huizhou, Guangdong, is the recipient of the title Justice of the Peace of Hong Kong and the Golden Bauhinia Star medal, awarded by the government of the Hong Kong Special Administrative Region. Dr. Yeung is currently the chairman of Glorious Sun Group while also serving several social positions: Dr. Yeung is the Permanent Honorary President of the Chinese General Chamber of Commerce of Hong Kong, the Permanent Honorary President of Hong Kong Culture Association, the Chief President of the Federation of Hong Kong Community Organisations, and a member of the governing board of Jinan University, Guangzhou. Dr. Yeung arrived in Hong Kong in 1967. Starting from scratch, he created his first company in 1974; and in 1978, he returned to Mainland China to invest and open factories, including clothing factories, clothing chain stores and real estate businesses. The corporation experienced four transformations: it evolved from a clothing-fabrication business to become a chain clothing retail store, and was later re-invented as a real-estate and a financial investment business. Glorious Sun Group has a net asset of over 20 billion Hong Kong dollars, and owns real-estate, financial and clothing businesses in the United States, Canada, Singapore, Australia, New Zealand, Mainland China and Hong Kong. 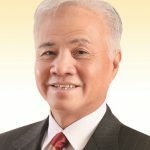 Since his career success, Dr. Yeung has been advocating that a modern entrepreneur should shoulder the “social responsibilities of the enterprise”, and should see it as his/her own duty to be of service for the world. Over the course of many years, Glorious Sun Group, led by Dr. Yeung, has donated over 3.1 billion Hong Kong dollars for remedying poverty, supporting education and relieving natural disasters in Hong Kong, Mainland China and elsewhere in the world. Zhan Ru is a Professor in Peking University’s School of Foreign Languages. Additionally, he is a member of the Chinese People’s Political Consultative Conference (CPPCC) National Committee, vice president of the Buddhist Association of China and vice president of the Peking University Orientalism Research Institute. His areas of research include: Buddhist and Buddhist literature, the Indian Ministry of Buddhism, Dunhuang Buddhism, Buddhist system. 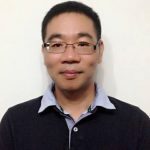 Jinhua Chen is a professor of East Asian intellectual history (particularly religions) at the University of British Columbia, where he also served as the Canada Research Chair in East Asian Buddhism (2001-2011). He has received numerous grants and awards from major funding agencies for his work on East Asian state-church relationships, monastic (hagio-)biographical literature, Buddhist sacred sites, relic veneration, Buddhism and technological innovation in medieval China, and Buddhist translations. 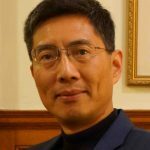 Dr. Chen is a prolific author, having published six monographs, and co-edited seven books, and written over fifty book chapters and journal articles. After having studied for several years in China (Tianjin) and Hungary, Imre Galambos received his PhD from UC Berkeley with a dissertation on the orthography of Chinese writing during the Warring States period. Following his graduation, he started working for the International Dunhuang Project at the British Library and became involved in the study of Dunhuang manuscripts and the manuscript culture of medieval China in general. After 10 years at the British Library, he moved to Cambridge in 2012. Phyllis Granoff joined the Yale faculty on July 1, 2004. She previously taught at McMaster University, Hamilton, Ontario, Canada and has held visiting positions at the Ecole Pratique des Hautes Etudes en Sciences Sociales, Berkeley, and Harvard. She has done research in all of the classical religions of India–Buddhism, Hinduism, Jainism and has published articles on Indian art and literature. Her interests include contemporary Indian literature and she has published translations of short stories from Bengali and Oriya. She edits the Journal of Indian Philosophy. Her recent publications include The Victorious Ones: Jain Images of Perfection, an edited volume that accompanied the exhibition on Jain art that she curated at the Rubin Museum of Art. With Koichi Shinohara she has edited a number of volumes, including Images in Asian Religions and Pilgrims, Patrons and Place. Most recently they have edited a volume of essays on sin in Asian religions, to appear shortly from Brill. 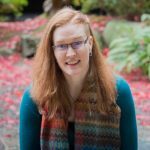 Among her current research projects are a study of Jain and Buddhist monastic rules on the treatment of the sick and a comprehensive examination of Jain manuscripts in American museum collections. She serves as senior advisor to the Jain Heritage Preservation Project which is run by the Jiv Daya Foundation in Dallas, Texas. Eric Greene is an assistant professor of Religious Studies. He specializes in the history of medieval Chinese Buddhism, particularly the emergence of Chinese forms of Buddhism from the interaction between Indian Buddhism and indigenous Chinese culture. Much of his recent research has focused on Buddhist meditation practices, including the history of the transmission on Indian meditation practices to China, the development of distinctly Chinese forms of Buddhist meditation, and Buddhist rituals of confession and atonement. In addition to these topics, he has published articles on the early history of Chan (Zen) Buddhism, Buddhist paintings from the Silk Roads, and the influence of modern psychological terminology on the Western interpretation of Buddhism. Guang Xing received his Ph.D. from School of Oriental and African Studies, the University of London. He is an Associate Professor and Director of the Centre of Buddhist Studies, The University of Hong Kong and Tung Lin Kok Yuen Canada Foundation Visiting Professor in Buddhism and Contemporary Society at the University of British Columbia, Vancouver 2007, Visiting Professor of Buddhist Studies at the Buddhist College of Singapore 2010-2014. His publications include The Concept of the Buddha: Its Evolution from Early Buddhism to the Trikaya Theory (Routledge 2005). 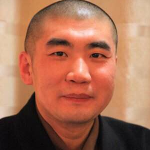 He is currently working on two monographs “Filial Piety in Chinese Buddhism” which is complete and “Buddhism and Chinese Culture” and has published many papers such as “A Buddhist-Confucian Controversy on Filial Piety” in Journal of Chinese Philosophy, “Buddhist Impact on Chinese Culture” in Asian Philosophy, “The Teaching and Practice of Filial Piety in Buddhism” in Journal of Law and Religion, and “Filial Piety in Chinese Buddhism” in the Oxford Encyclopedia of Buddhism. Jessica Main is an Assistant Professor, holding a joint appointment in the Department of Asian Studies and the Institute of Asian Research. Since Fall of 2009, she has served as The Robert H. N. Ho Family Foundation Chair in Buddhism and Contemporary Society and Director of the RHNHFF Program in Buddhism and Contemporary Society at UBC. She wrote her PhD dissertation, “Only Shinran Will Not Betray Us” (McGill 2012), on the topic of descent-based discrimination, human rights, and Japanese True Pure Land, Jōdo Shinshū or Shin Buddhism, looking especially at the problem of caste-based discrimination in Shin Buddhism against the burakumin. She is currently working on a manuscript on this topic entitled, No Hatred in the Pure Land: Burakumin Activism and the Shin Buddhist Response in Interwar Japan. Her broader research interests include modern Buddhist ethics, social action, and institutional life in East and Southeast Asia, particularly in the areas of sectarian social policy, chaplaincy, youth and physical culture, public health, and professional or role-based ethics. Michaela Mross is Assistant Professor of Religious Studies at Stanford University. She specializes in Japanese Buddhism, with a particular emphasis on Sōtō Zen, Buddhist rituals, sacred music, as well as manuscript and print culture in premodern Japan. She has written numerous articles on kōshiki (Buddhist ceremonials) and co-edited a special issue of the Japanese Journal of Religious Studies on kōshiki. Currently, she is finishing a book manuscript on the development of kōshikiin the Sōtō school. 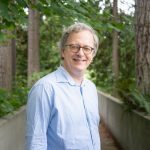 Robert Sharf is D. H. Chen Distinguished Professor of Buddhist Studies in the Department of East Asian Languages and Cultures at the University of California, Berkeley. He works primarily in the area of medieval Chinese Buddhism (especially Chan), but also dabbles in Japanese Buddhism, Buddhist art, ritual studies, and methodological issues in the study of religion. In addition to his appointment in East Asian Languages and Cultures, he is Chair of the Center for Buddhist Studies at UC Berkeley. 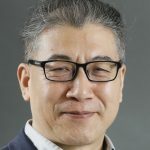 He also serves on the editorial boards of the Journal of the International Association of Buddhist Studies, the Journal for the Study of Chinese Religions, the Journal of Religion in Japan, and the Kuroda Institute Series published in conjunction with University of Hawai’i Press. 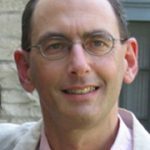 Stephen F. Teiser is D. T. Suzuki Professor in Buddhist Studies and Professor of Religion in the Department of Religion at Princeton University. His work traces the interaction between cultures using textual, artistic, and material remains from the Silk Road, specializing in Buddhism and Chinese religions. 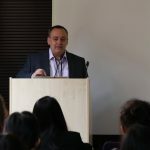 He also serves as director of Princeton’s interdepartmental Program in East Asian Studies, and in 2014 he received the Graduate Mentoring Award in the Humanities from Princeton University’s McGraw Center for Teaching and Learning. He has also edited several books, including Readings of the Platform Sūtra (2012) and Readings of the Lotus Sūtra (2009). Barend ter Haar teaches Chinese studies at Hamburg University, with a strong focus on cultural and religious history. Although first of all a social and cultural historian, the religious dimension is so central to Chinese traditional life that much of his research up to now has dealt with religious phenomena. In addition, he has worked extensively on issues of ethnic identity, violence and fear, and social organization. An important concern of his is to demonstrate that traditional culture and cultural patterns are still relevant today, as becomes visible for instance in the case of the Falun Gong or the ongoing role of exorcist violence in political contexts throughout the twentieth century. For those who read Dutch, he has published a history of China, entitled The Heavenly Mandate: The history of the Chinese Empire until 1911 or Het Hemels Mandaat: De Geschiedenis van het Chinese Keizerrijk (AUP: Amsterdam, 2009) with a somewhat revisionist view on the Chinese past. His book on the lay Buddhist group called the Non-Action Teachings (late 16th century to the present) has come out with Hawai’i University Press, as Practicing Scripture: A Lay Buddhist Movement in Late Imperial China. Eugene Wang (PhD Harvard, 1997) began teaching at the University of Chicago in 1996 before joining the faculty at Harvard University in 1997. He was appointed the Abby Aldrich Rockefeller Professor of Asian Art at Harvard in 2005. A Guggenheim Fellow (2005) and recipient of American Council of Learned Societies and Getty grants, he served as the art history associate editor of the Encyclopedia of Buddhism (Macmillan, 2004). His extensive publications cover the entire range of Chinese art history from ancient funerary art to modern and contemporary Chinese art and cinema. He serves on the advisory board of the Center for Advanced Studies, National Gallery of Art in Washington D.C. and the editorial board of The Art Bulletin. 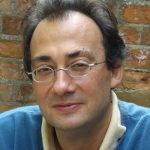 Dr. Stefano Zacchetti is the Yehan Numata Professor of Buddhist Studies and a fellow of Balliol College. His research interests include early Chinese Buddhist translations (2nd-5th centuries CE), Mahāyāna literature in Sanskrit and Chinese, the history of the Chinese Buddhist Canon, and Chinese Buddhism (particularly early Chinese Buddhist commentaries). 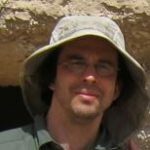 Dr. Zacchetti’s current projects include work on the Larger Prajñāpāramitā: basic texts and commentaries (edition of the Gilgit manuscript of the Larger PP; study and translation of the Da zhidu lun 大智度論 T 1509), the development of early Buddhist exegetical literature in China, and the formation of the Chinese Buddhist canon. 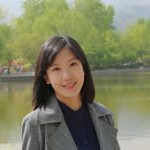 Dr. Xing Zhang is Associate Professor and Head of the Section of South Asian Culture at Department of South Asian Studies, Peking University, China and Visiting Professor at Université de Montréal, Canada. She has been Visiting Scholar at Humboldt-Universität zu Berlin and Max-Planck-Gesellschaft, Germany. Her research focuses on South Asian society and culture, Indian languages and literature, China-India cultural exchanges as well as intercultural studies. 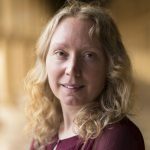 Her research and fieldwork have been supported by grants and fellowships from Germany, Singapore and Canada. She also served as key member of several research projects supported by National Social Science Foundation of China. She has published a number of articles in SSCI and CSSCI journals and is the author of The Chinese Community in Calcutta (2015), Preserving Cultural Identity through Education (2010).